One thing we all have to agree a meal needs a fitting end. 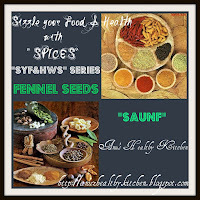 What better than Saunf or badishep or Fennel as it is know in Hindi, Marathi and English respectively? According to Wikipedia,“Fennel is indigenous to the Mediterranean region, but has become widely naturalised in many parts of the world, especially on dry soils near the sea-coast and on riverbanks. In Greek mythology, Prometheus used the stalk of a fennel plant to steal fire from the gods. It is a highly aromatic and flavorful herb with culinary and medicinal uses, and, along with the similar-tasting anise, is one of the primary ingredients of absinthe. Many cultures in India, Pakistan, Afghanistan, Iran and the Middle East use fennel seed in their cookery. Fennel is one of the most important spices in Kashmiri Pandit and Gujarati cooking. It is an essential ingredient of the Assamese/Bengali/Oriya spice mixture panch phoron and in Chinese five-spice powders. Fennel leaves are used as leafy green vegetables either by themselves or mixed with other vegetables, cooked to be served and consumed as part of a meal, in some parts of India. In Lebanon, it is used to make a special kind of egg omelette (along with onions, and flour) called ijjeh. Please do check it out here. 1. Mix in a kadhai/wok ½ a kilo of fennel seeds with lemon juice, ½ a lemon is just fine, add 1 ½ tsp salt. Mix well. 2. Taste it. Feel free to add more lemon or salt as you please but remember to mix it well. 3. Place the kadhai/wok on low flame on the gas and stir. Initially occasionally but once the wok heats up continuously. 4. Heat till yiu get a nice aroma. Switch off the gas but continue stirring for say 4-5 more minutes. 5. Cool and transfer to an airtight container. SYF & HWS Series-Fennel seeds guest hosted by Kaveri,event by Anu. this never lasts long in our home. we all keep on munching this. 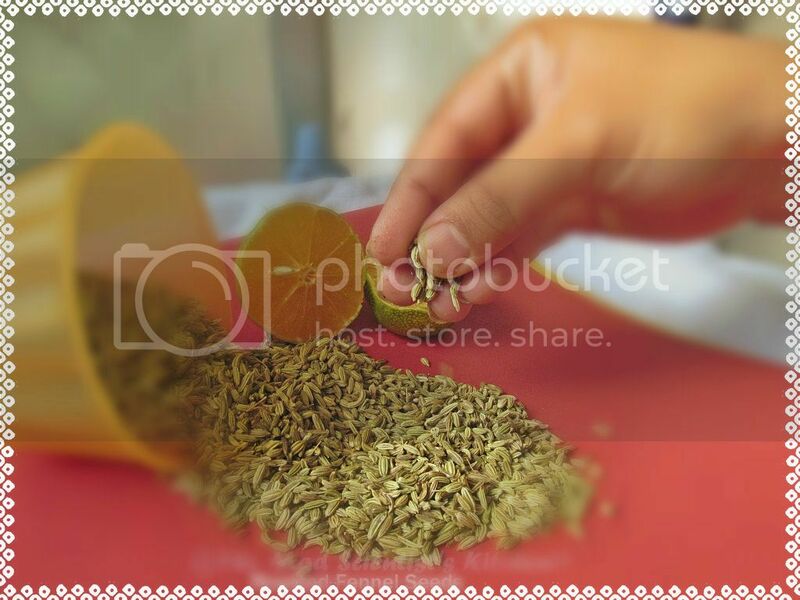 Fennel is my fav spice..i love to much it:) with lemon sounds interesting...nice clicks too!! Love fennel flavor always..this is a very useful post esp with mukhwas!! Quite interesting,never had fennel seeds this way. You said it right a lovely meal needs to be ended in a befitting way...I love munching on saunf after my meals..
Never knew it involved the addition of lemon juice.